The award is for a paper of excellence relating to China or the Chinese Diaspora, selected from the papers presented at the 2018 CEA Conference at McGill University. The selection committee is comprised of Zhiqi Chen (Carleton University),Yingfeng Xu (University of Alberta), and Xiaodong Zhu (University of Toronto). 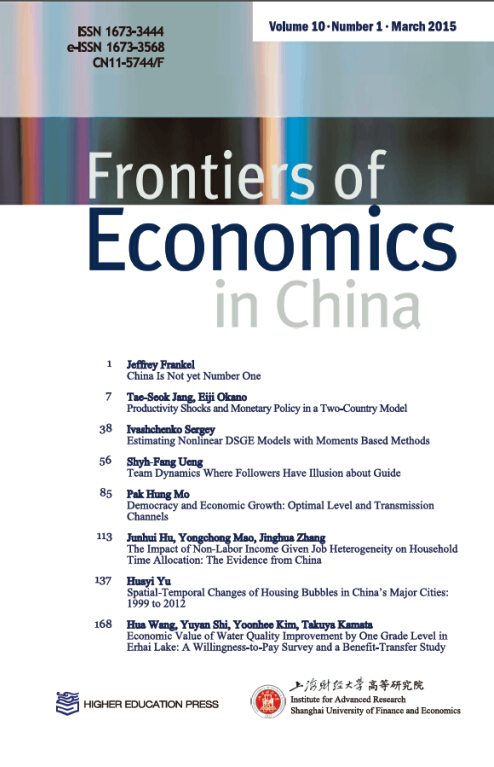 Frontiers of Economics in China is an economics journal edited at Shanghai University of Finance and Economics and Higher Education Press of China. Issued quarterly and distributed worldwide, the journal is available both online and in hard-copy. FEC welcomes submissions of theoretical and empirical papers from all fields of economics, particularly those with an emphasis on the Chinese economy and other emerging, developing or transition economies.